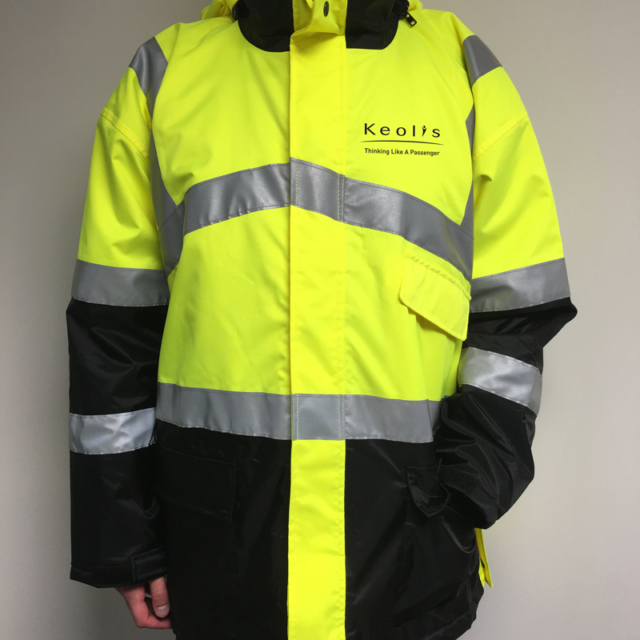 Among the apparel we have done for Keolis, the Commuter Rail in Boston, are safety jackets. We do a lot of safety apparel, any class. These are class three safety jackets with the embroidered logo.